I have quite the collection of printed and striped t-shirt dresses, so now I have a solid one too! I know I have mentioned this before, but my go-to comfortable outfit would always be one of these dresses over a t-shirt and athletic shorts. Like most of my Lilly Pulitzer items, I also got a great deal on this dress during the last After Party Sale! 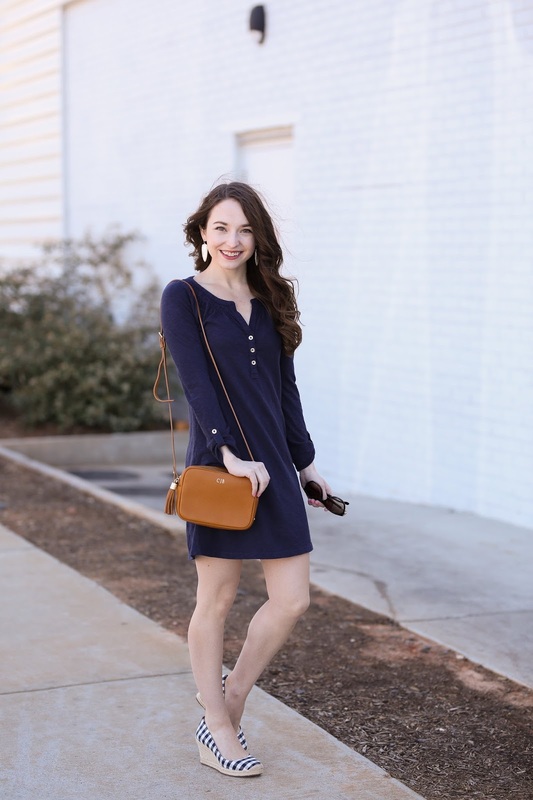 I love wearing a dress like this one for just about everything in the spring/summer, from going shopping, to brunch, or just hanging around a coffeeshop. 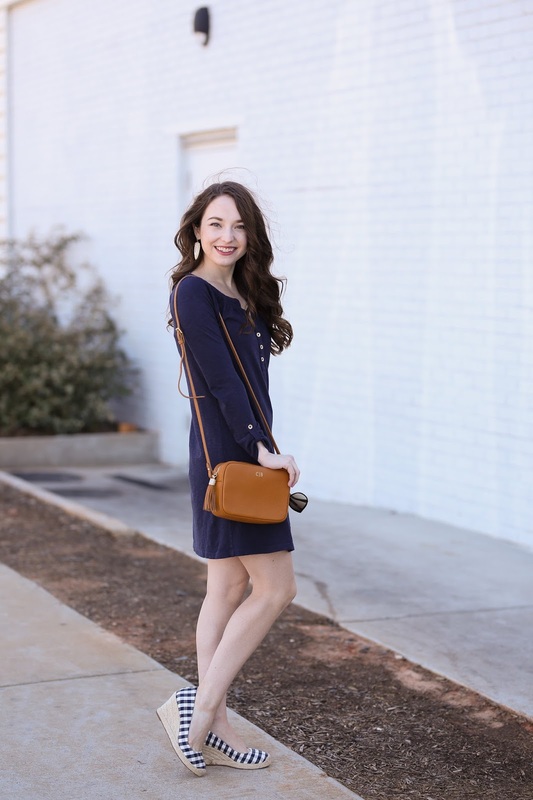 These comfy dresses are also perfect for travel, they don't wrinkle much, and this solid navy is so versatile!